By Xah Lee. Date: 2011-12-06 . Last updated: 2019-02-03 . 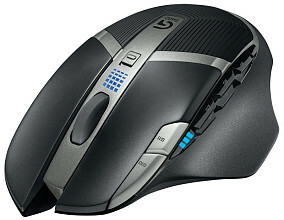 This page is a review of Logitech's gaming mouse design, written primarily for programers. Logitech's best wired mouse to-date. this one got 250 hours battery life. I recommend you get either the G700/G700s or the G602. 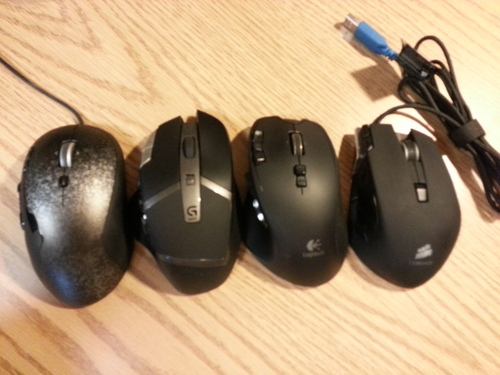 Mouse size comparison: Logitech G500, G602, G700, “Corsair M90/M95” Corsair Vengeance M95 mouse. if you need lots buttons, get this one.